The Doogee S55 has finally found its way to shopping stores. The device was announced days ago by the company as the latest smartphone from its S series. 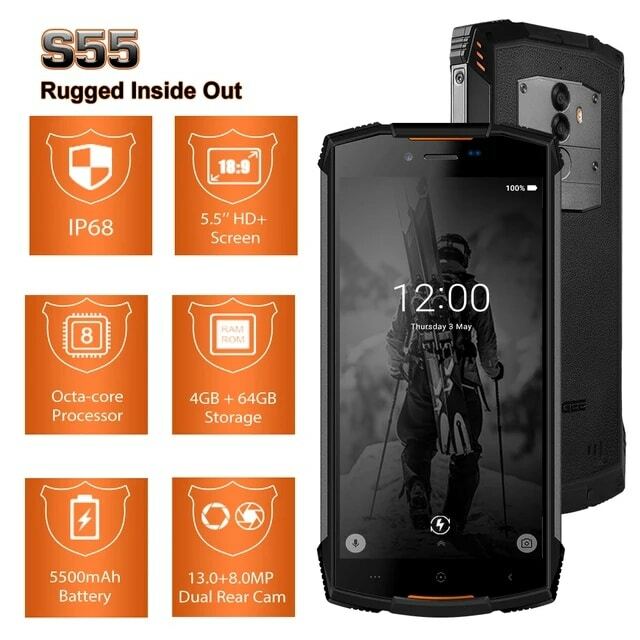 The S55 brings along a IP68 certified rugged body that will stand the test of time. The S series from Doogee are known for their rugged body and the S55 didn’t disappoint in that regard. There’s also 4GB RAM, 64GB storage, an octa-core processor, dual rear camera and a massive 5500mAh battery as well. 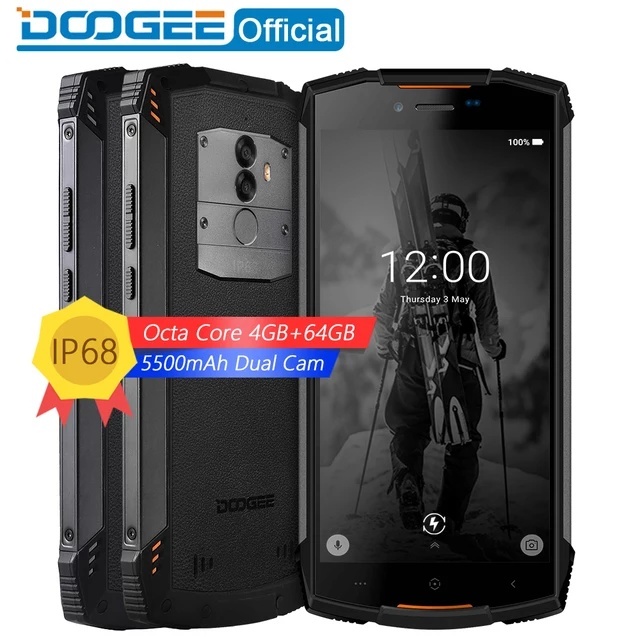 Lets meet the Doogee S55. 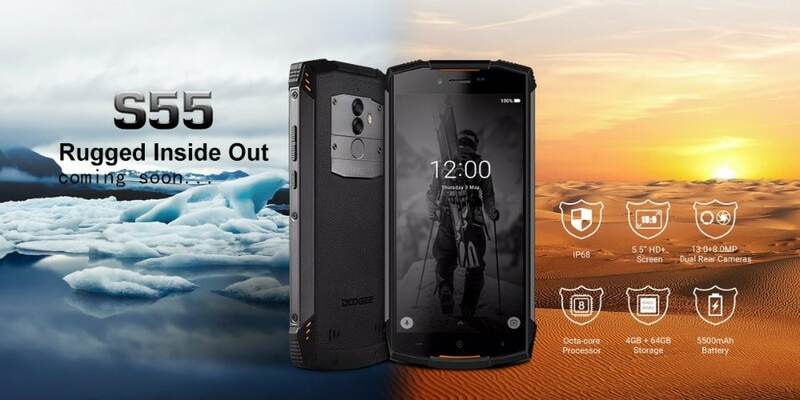 What is Doogee S55 Price and Availability Status? 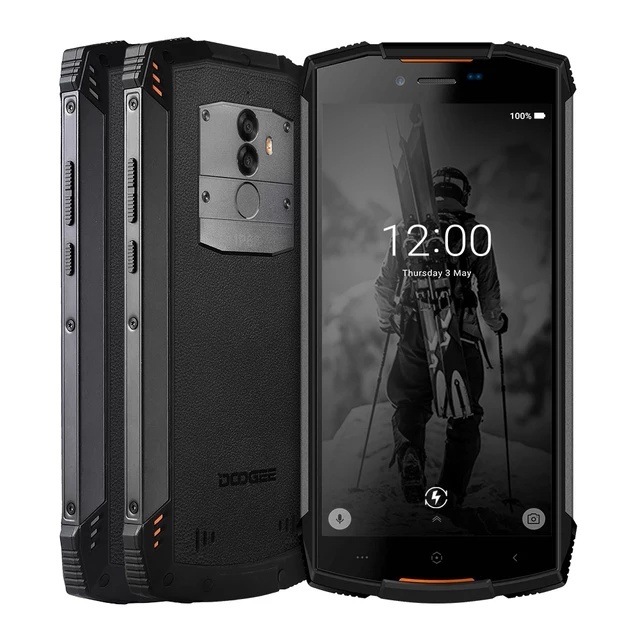 The Doogee S55 is rugged smartphone no doubt, it focuses on those who are always outdoors, maybe hiking or in the woods a lot. With IP68 certifications, the S55 is both dust and water resistant. This means the device can stay for up to 30 minutes underwater. It has a Polycarbonate and Metal build, both elements does wonders in terms of protecting the device from falls and offering a firm grip. There’s an octagon shaped Metal foundation at the top that houses the dual rear shooters and a fingerprint scanner. When you turn over to the front, you’ll see a lot of bezels obviously. 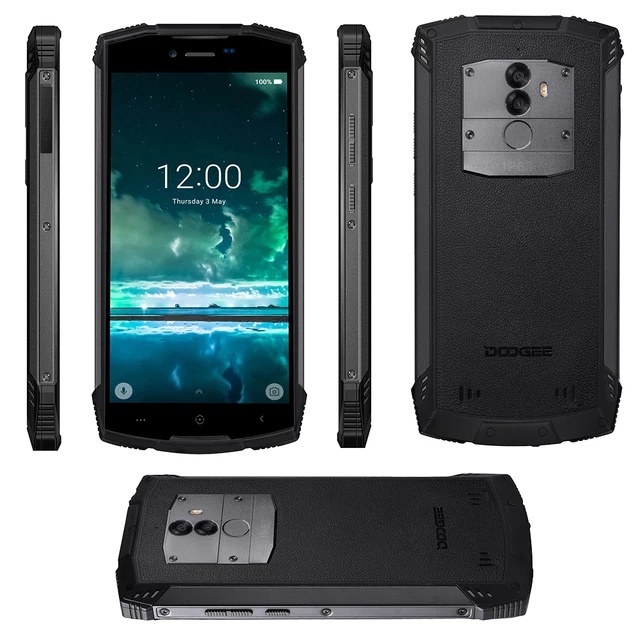 Even though we’ve seen a lot of rugged smartphone with bezel-less screen, it’s obvious Doogee​ isn’t ready for that yet. The top and bottom bezels houses the usual features. Focusing on the screen, the 5.5-inch HD+ IPS LCD capacitive touchscreen is absolutely stunning. It boasts of 1440 x 720 pixels in resolution and 293 pixel per inch density. Furthermore, there’s a Corning Gorilla Glass 3 on top for protection. The S55 adopts the MT6750T chip from MediaTek, this is a little disappointing, the chip was built on a 28nm process technology. The chip has 8-cores of processor, which clocks at 1.5GHz. While the ARM Mali-T860 MP2 clocks at 650MHz and comes with 4-Cores. For multitasking, you get 4GB RAM which reaches a memory speed of 833MHz offering a smooth ride. There’s also 64GB storage space as well, and you can upgrade up to 128GB using a memory card. It runs on Android 8.0 Oreo out of the box. The device is equipped with dual 13MP + 8MP rear cameras from Samsung with a dual-LED flash. The 13MP shooter on top has f/2.2 aperture and an 80° wide angle lens. Turning over to the front, the 5MP selfie camera has f/2.8 aperture and an 80° wide angle lens as well. Powering the Doogee S55 is a 5500mAh non-removable Li-Po battery with fast charging technology. With the fast charging feature, charging the battery from 0% to 100% shouldn’t take up to 2.8 hours. The Doogee S55 is available on Shopping stores, starting from $149 (N50,000) to $169 (N60,000). Click on the links above to view the latest Doogee S55 price & availability on Shopping stores. The Doogee S55 has finally found its way to shopping stores. The device was announced days ago by the company as the latest smartphone from its S series. The S55 brings along a IP68 certified rugged body that will stand the test of time. The S series from Doogee are known for their rugged body and the S55 didn't disappoint in that regard. There's also 4GB RAM, 64GB storage, an octa-core processor, dual rear camera and a massive 5500mAh battery as well. Runs flawlessly as a pocket computer but the phone will not detect sim cards and the fingerprint sensor stopped working entirely after a few weeks. Spending an afternoon going nuts trying everything recommended on the XDA Developer forum didn’t help either issue at all. Par for the course I guess, it wouldn’t be an Android if you didn’t have to fix it once a month.. Going back to my 2012 iPhone 5 that still works better after getting kicked into a lake.